I had so many pictures of the street fair, I had to go back to share some more. 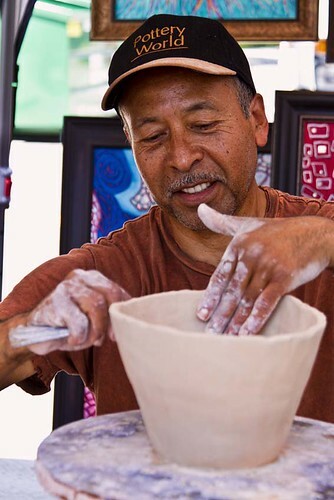 Jorge Del Toro, local sculptor, worked at the Downey Arts Coalition booth, showing some of his techniques with clay. 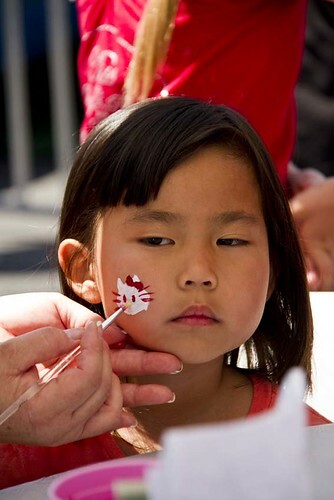 This little girl was at the booth where some of the Downey Princesses were offering face painting.